El Tatio Geysers in Chile, ranked #54 in our countdown of '100 Ultimate Travel Experiences of a Lifetime'. Ranked #54 in our countdown of ‘100 Ultimate Travel Experiences of a Lifetime’. 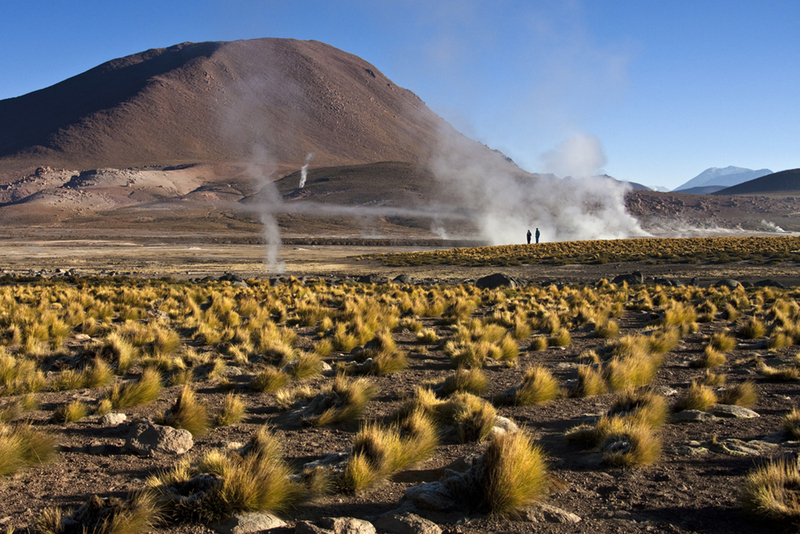 El Tatio, or ‘the grandfather’, is a geyser field on the Chilean Andes, a staggering 4320 metres above sea level. 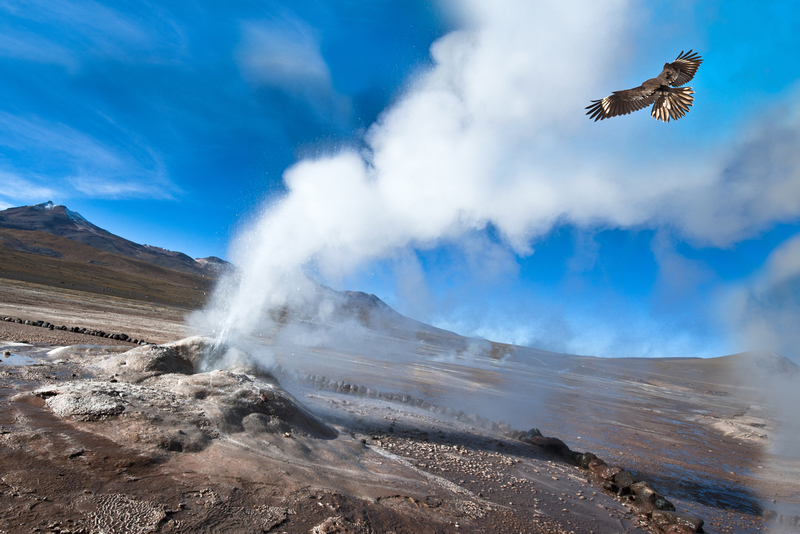 The highest geothermal field in the world, El Tatio has over 80 active geysers constantly letting off steam and spouting water, sometimes up to seven metres into the air. There are also thermal baths on site, heated to a toasty temperature by all the volcanic activity taking place underground and rich in minerals deposits. 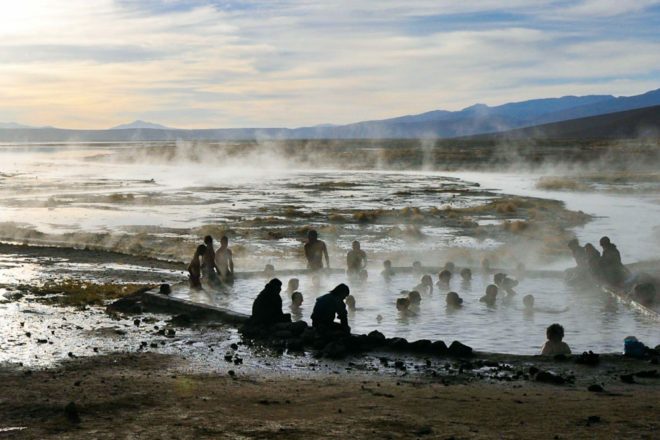 The early rise to make it to El Tatio for sunrise is well worth it; at this time of the morning, the cold mountain air condenses the hot steam puffing from the earth, creating a landscape of whispy white clouds set against the slowly lightening sky. Want to take a dip? Research your Chilean holiday on expedia.com.au.